Create the Hanging Garden of Your Dreams with Hang-A-Pot Clay Pot Hangers! Versatile: Attaches to many surfaces, from wood to vinyl. UV Resistant: Won’t become brittle from sun exposure. Durable: Withstands cold and hot temperature extremes. Strong: Supported more than 100 pounds in stress tests. With Hang-A-Pot, you can instantly transform any interior or exterior space into one of beauty and elegance. Hang-A-Pot easily mounts to a wide variety of surfaces to give you the beauty of perfectly displayed floral arrangements within minutes! From hanging garden pots to displaying beautiful orchids, Hang-A-Pot can do it all! Made from premium polypropylene, Hang-A-Pot is one of the most durable and strong clay pot hangers on the market today. 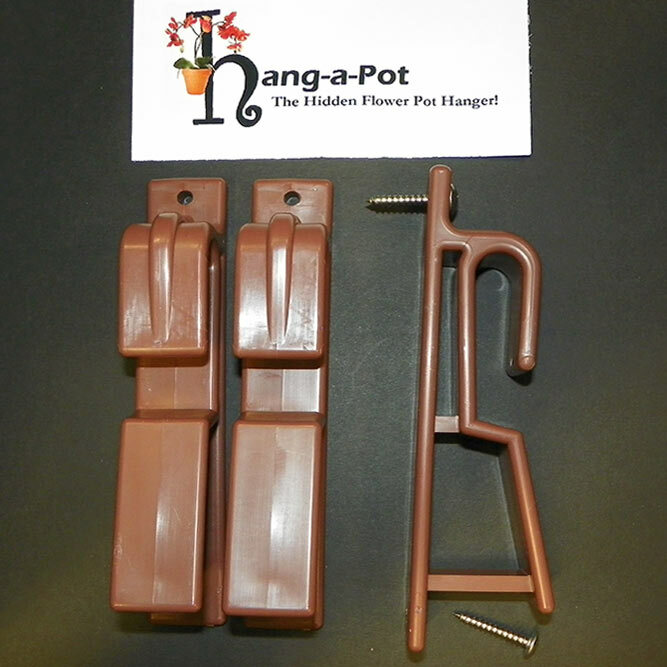 Whether you have small 4-inch flower pots to hang, or larger 10-inch pots, Hang-A-Pot is sure to be the only flower pot hanger you need! In addition to being a great decorative accessory, this amazing clay pot hanger is perfect for starting your own vertical garden at a reasonable price. Get yours today!